The sheer volume of digital evidence available to attorneys in family law cases can be overwhelming. An experienced digital forensics partner can help an attorney focus on the specific data that is critical to the dispute while ensuring that any evidence and forensic analysis can stand up in court. Our engagements begin with a brief call to discuss the case in order to define a specific scope of work that addresses the data needs and timeline of the case. This is particularly important in family law cases because the volume of potentially producible data is so large. Of all the kinds of cases that Flashback Data supports (IP theft, criminal defense, civil law, family law), family law cases have by far the most producible data. After excluding any privileged attorney-client communications, pretty much everything else can be producible for a family law case. More specific direction up front helps our clients save money and get the answers they need faster. We often support attorneys in defining which devices need to be part of a preservation order as well as defining the forensic protocol to deliver any producible data. Once we know which devices are involved and generally what we’re looking for, the formal forensic process begins. The foundation of any digital forensic analysis is a structured, documented approach to preserving data by creating a forensic image of every mobile device, computer or external hard drive that is relevant to the case. Even if you don’t expect the evidence to be contested, a structured, repeatable forensic process is required for any analysis to hold up in court. When working with a digital forensics lab in support of a family law case, it’s important to know when you’re looking for objective vs. subjective information. A good examiner can help an attorney with both. Questions about travel, location data or even assets and income can usually be answered objectively. Travel and location data can be pulled directly from cell phone history or indirectly from email or text communications or even metadata on digital images. Asset and income data can usually be found in financial software, spreadsheets or email communications. Other questions are much more subjective. 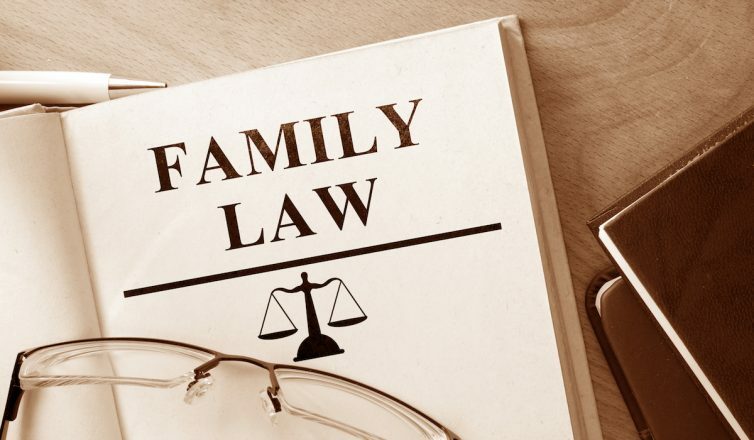 In family law, the most common example is the question of infidelity. Other than the occasional “smoking gun”, a digital forensic analysis rarely produces objective proof of infidelity. To help with questions of infidelity, a forensic examiner’s job usually involves finding all the written communications (email, SMS text, etc.) and call records between the two parties, even if those records have been deleted. A forensic examiner won’t (and shouldn’t) make a subjective judgment about the content of those communications. An experienced forensics partner will work with you to understand what kind of information is critical to your case and whether or how that information can be objectively captured and validated via forensic analysis. The final step in the process is providing expert testimony in a deposition or court. All the work we do up to this point was done specifically to make this part of the process as straightforward and unremarkable as possible. Our certified, experienced examiners and accredited lab mean that our expertise is readily accepted. Our examiners are comfortable presenting (and defending) their credentials, their forensic process and their findings under oath. If you need the support of an experience, accredited digital forensics lab for a family law case, contact Flashback Data today. Our digital forensics lab is accredited under the same process as the FBI and state crime labs and can support the timing and information needs of your family law case. CALL 866-786-5700 TODAY FOR A FREE CONSULTATION!